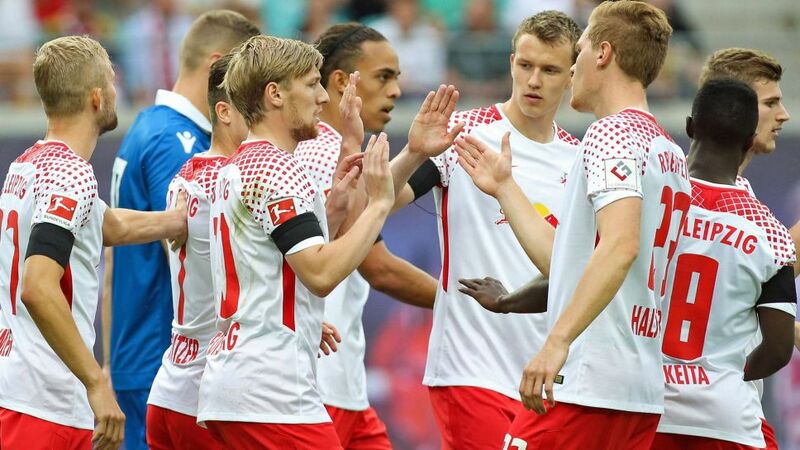 With the core of the squad which stormed to a debut season runners-up finish unchanged and some vibrant new additions arriving at the club during the summer, RB Leipzig are not about to become another footnote in Bundesliga history. Although the Saxony upstarts have the weight of expectation and additional burden of UEFA Champions League football to contend with, there is no reason why they cannot go one better and dethrone defending champions Bayern Munich in 2017/18. Phase one is complete. Despite Europe-wide interest in Naby Keita and Emil Forsberg, Leipzig have managed to keep hold of two of last season's star performers for 2017/18. Keita's abilities as a box-to-box midfielder were the proverbial glue that bound Leipzig's high-octane transitional play, while inverted wing sensation Forsberg served up a Bundesliga-high 19 assists. Exploiting the Swede's endless supply line was Timo Werner. The prodigious striker experienced relegation to the second tier with boyhood club Stuttgart 12 months earlier, but bounced back in fine style, ending the 2016/17 campaign as the Bundesliga's highest scoring German on 21 goals and firing Germany to FIFA 2017 Confederations Cup glory. The supporting cast were no less influential. A watertight back line marshaled by newly anointed captain Willi Orban ensured that only Bayern conceded fewer goals than the top-flight newcomers last term; Marcel Sabitzer excelled in a dynamic midfield, chipping in with eight goals and five assists; and no-frills front man Yussuf Poulsen acted as the perfect foil for the sprightly Werner. Then there are the collective brains behind the operation. Wily sporting director Ralf Rangnick has made no secret of his quest for long-term success at the Red Bull Arena and, in vibrant Austrian head coach Ralph Hasenhüttl – a fellow champion of progressive attacking football - has the ideal man to implement his vision for the club on the pitch. Sustaining the charge is the next objective. To that end, Rangnick has made some sagacious moves in the summer transfer window. French forward Jean-Kevin Augustin (Paris-Saint Germain, 20) and Portugal winger Bruma (Galatasaray, 22) are two of the most eye-catching new recruits, in keeping with the club's policy of only signing players under the age of 25. Both men bring proven top-level experience to the table, and both will get ample chance to impress over the course of a season in which squad rotation will be key for the Champions League first-timers. Continental exertions or not, the great Bundesliga annals are littered with second-season syndrome sufferers: promoted teams that survive their first year in the big time, only to struggle, often to the point of relegation, the next. It has happened to the best of them – 1997/98 Bundesliga champions Kaiserslautern being the most notable example of the bunch – but Leipzig have never been ones to subscribe to the norm. Founded in 2009, promoted to the Bundesliga in 2016 and runners-up to record champions Bayern last season, RBL are on a one-way ticket to the top. It is now just a question of how and when they get there. Quiz: How well do you know RB Leipzig?